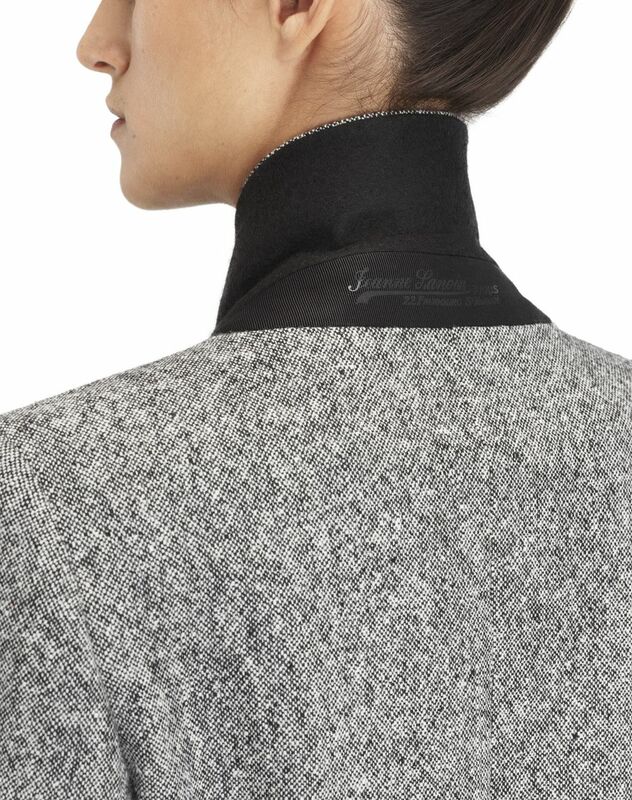 Lightweight gray tweed jacket, tailored collar with wide lapels and “Jeanne Lanvin” signature detail on the collar stand, double-breasted closure with double “Mother and Child” logo signature buttons, flared 3/4-length sleeves, slanted welt pockets, and slightly cinched waist. 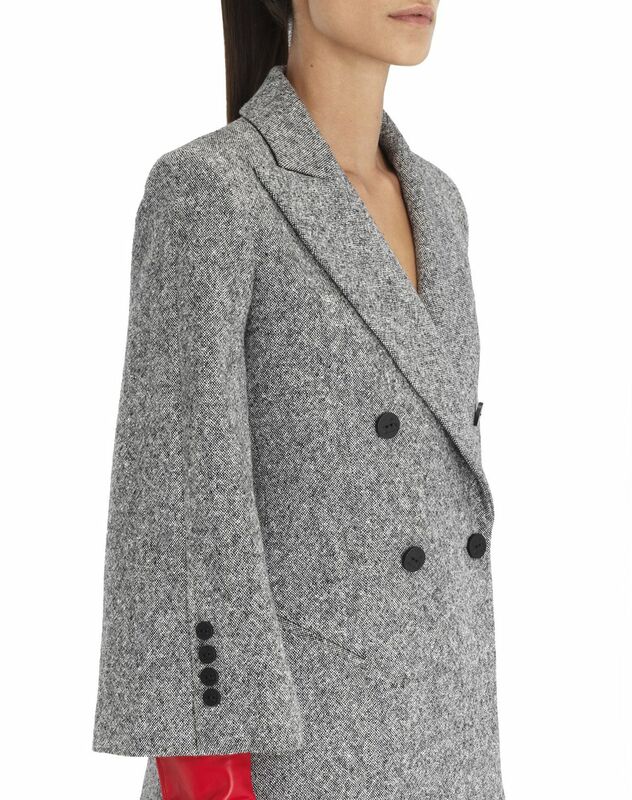 A wardrobe essential, this tailored jacket makes a statement with its mix of subtle signatures. 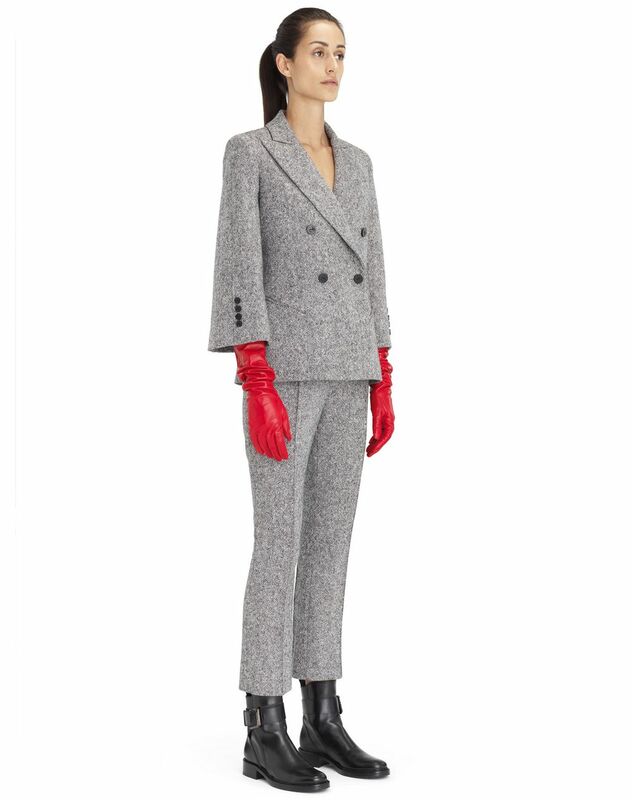 Paired with matching pants and enhanced with a pair of bright red gloves, the jacket can also be worn with leather or denim for an even more casual look. 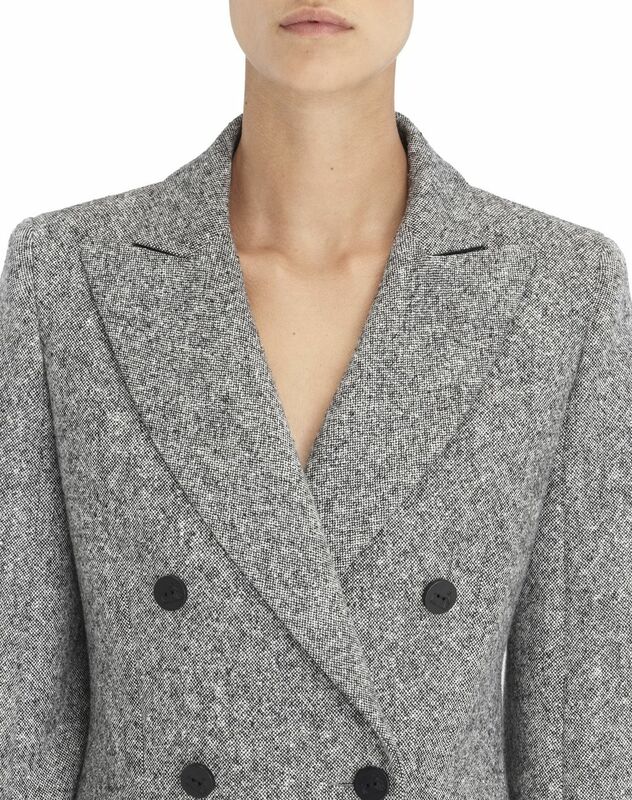 This jacket stands out as a combination of elegance and comfort—a timeless classic in any woman’s wardrobe. 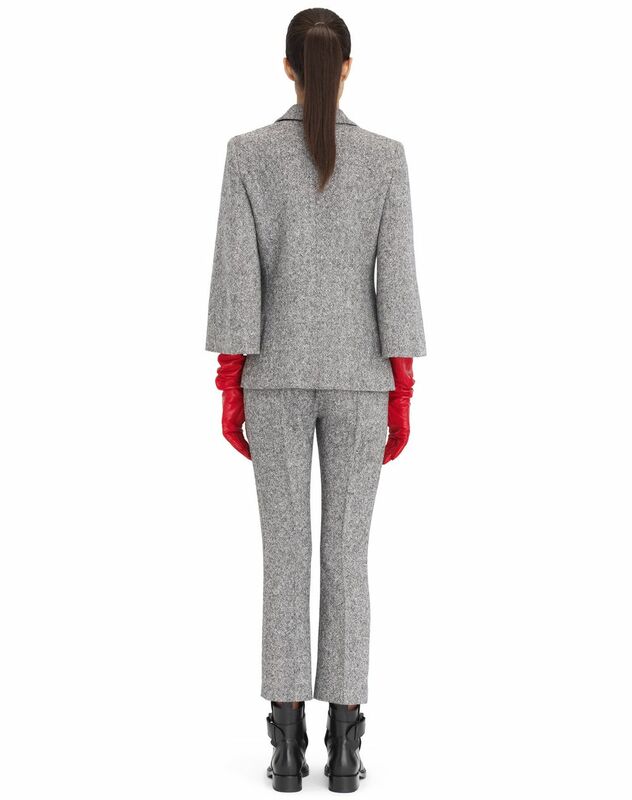 Main material: 100% new wool weave. Model's measurements: Height: 5’ 10” Chest: 33.5” Waist: 23.5” Hips: 35” Model wears a size 4. Made in Italy.